Delicately Flavoured. 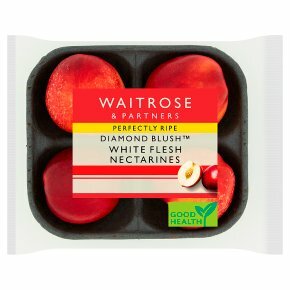 White-Fleshed Diamond Blush Nectarines Are An Exclusive Collection of Varieties Selected By Waitrose. They're Expertly Ripened So They're Sweet and Juicy, Ready To Eat.